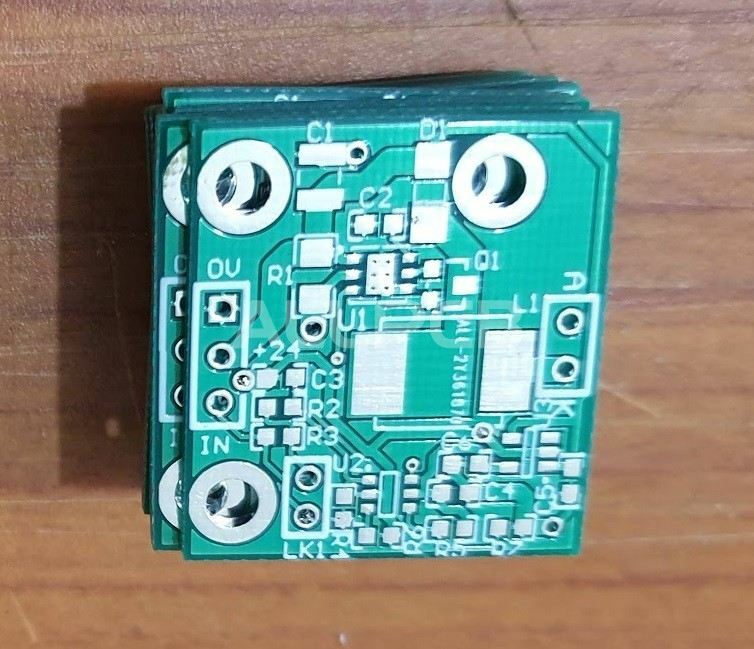 Whenever electronics products go through soldering, flux or other types of contaminants are always left on the surface of PCBs (Printed Circuit Boards) even if halogen-free no cleaning flux is applied. Based on my experience, never trust "no clean" too much. One word, PCB cleaning after surface mount soldering plays an essential role in guaranteeing reliability, electrical functions and life time of electronic products. This article will discuss the significance of cleaning after surface mount soldering and list some types of prevalent cleaning methods. PCB cleaning after surface mount soldering can stop electrical defects from occurring. Among all the electrical defects, electrical leakage is the most protruding one, which is an essential element reducing long-term reliability of PCB boards. This type of defects is caused mainly by ionic contaminants, organic residues and other adhesion substances left on the surface of circuit boards. PCB cleaning after surface mount soldering can eliminate erosive substances. Erosion will damage circuits, leading components or devices to brittleness. Erosive substances can conduct electricity in humid environment, which will further arouse PCB boards to shorts or even failures. Erosive substances elimination is actually excluding negative elements hindering long-term reliability of PCB boards. PCB cleaning after surface mount soldering can make board appearance look clear. PCB boards cleaned after surface mount soldering look clear in appearance, making some defects exposed, convenient for inspection and troubleshooting such as heat damage and lamination. Design, SMT technique(such as reflow soldering time and temperature), temperature and humidity. Acetone solution is used to soak PCB boards for about 10 minutes. Then, a banister brush is used to brush off contaminants at solder connection in ethanol solution. Next, board is taken out before deionized water is used to wash for 3 minutes. After that, absolute ethyl alcohol is leveraged for dehydration. Finally, nitrogen gas gun is used to dry the board surface until no water mark won't be seen. During the process of manual cleaning, acetone with higher solubility is leveraged to soak circuit boards, which can effectively make contaminants dissolved into the solution. Then circuit board goes over physical brushing by placing circuit boards in ethyl alcohol with detailed flux contaminants brushed off. Next, organic solvent has to go through dehydration with the help of deionized water. Finally, nitrogen gas is used to dry the board surface to complete manual cleaning after surface mount soldering. This process can be summarized into the following figure. 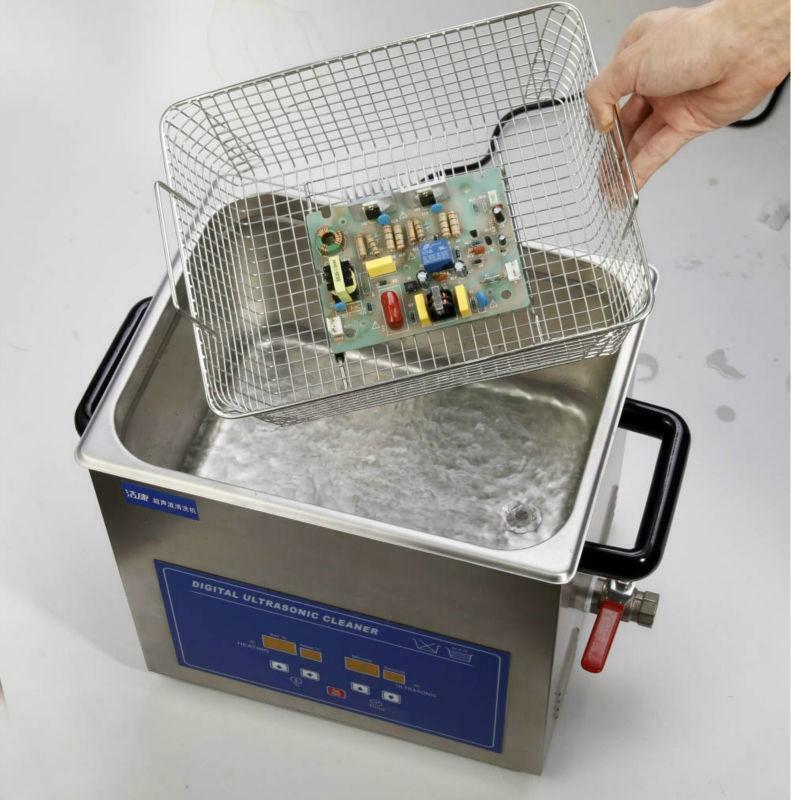 cleaning lasts for five minutes with ultrasonic power of 240W, after which quartz container is taken out with a basket after turning off ultrasonic cleaning switch. Then, deionized water is used to wash for 5 minutes and absolute ethyl alcohol is used to carry out dehydration on circuit board. Finally, nitrogen gas is used to make the surface dry. During the process of ultrasonic cleaning, circuit board is put into ethyl alcohol agent, which is different from manual cleaning. Depending on the principle of ultrasonic vibration, ultrasonic cleaning aims to wash off flux residue and dehydration is carried out by deionized water. Finally comes drying stage with the help of nitrogen gas. The whole procedure of ultrasonic cleaning is demonstrated in the following figure. Equipment condensing system is turned on first to let it run for 5 to 10 minutes. Then, equipment heating system is turned on to heat cleaning agent to boiling temperature. circuit board is placed into cleaning basket that is then placed into boiling tank. Boiling time lasts for 3 to 5 minutes. Next, basket is then placed into steam zone for steam cleaning for 3 to 5 minutes. Then, circuit board surface is sprayed with cleaning agent for 10 to 20 seconds. After that, basket is slightly placed into rinsing tank for 1 to 2 minutes. Finally, devices are dried through condensation and basket is taken out after the complete volatilization of agent.